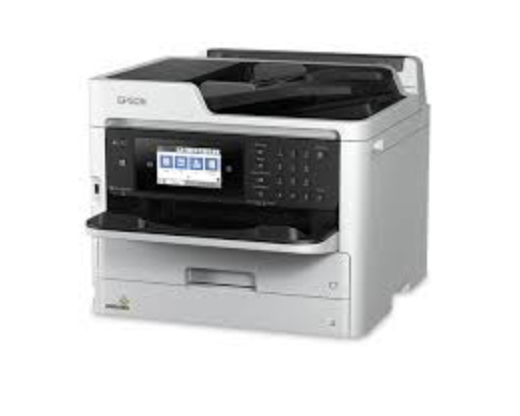 This Epson WorkForce Pro WF-C5710 Printer Drivers printer is supported by the latest technology for printing that provides PrecisionCore features, besides that the WorkForce Pro WF-C5710 presents a printing technology with an inkjet engine for the next generation. very suitable for hard workers because this compact machine also includes an Ink Package System that is easily replaced to minimize your intervention. And, you can save more printing until 45 percent of the total printing costs are lower vs. color laser, without reducing productivity. 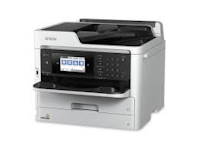 The WF-C5710 offers prints with a print speed of 24 ISO ppm (black / color), another thing found on this printer is the first page prints that are fast without warm-up time, plus a fast scan speed. Increase Your Productivity Automatic Document Feeder duplex 50 pages; can be used as a machine for automatic 2-sided printing, copy, scan and fax; fast scanning speed; Including Document Capture Pro software. Security features are also available and have been certified to have a PIN number for job removal that makes it easier for you to access user controls; printer and network settings through Web Config with the printer's IP address; SSL / TLS security; IPsec. Minimize Your Interventions The Replaceable Ink Package System lets you print up to 5,000 ISO pages without changing the ink package (2); total paper capacity of up to 830 sheets with the second optional paper tray. in addition to these features it has also been Enabled for Remote Printer Data Collection, compatible with MPS software solutions from PrintFleet, ECi (FMAudit) and others. 0 Response to "Epson WorkForce Pro WF-C5710 Printer Drivers Support"